Guns are good because they provide the ultimate self-defense? While I’m sure some people believe that having a gun at their bedside will make them safer, they are wrong. This is not my opinion, and it’s not a political or controversial statement. It is a fact. 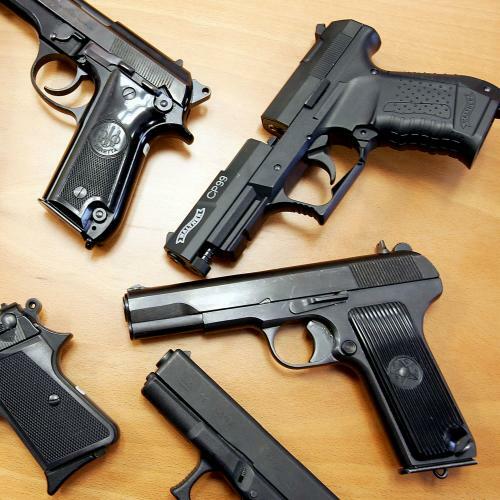 Guns kept in the home for self-protection are 43 times more likely to kill a family member, friend or acquaintance than to kill an intruder, according to a study published in the New England Journal of Medicine. Guns on the street make us less safe. For every justifiable handgun homicide, there are more than 50 handgun murders, according to the FBI. The expanding right to carry concealed guns make us even less safe. So what right is being protected if it is not the right to be safe? The right to feel safe, at the expense of actual safety? Or perhaps guns are good because they facilitate hunting? It's a constitutional red herring, but no coincidence or surprise, that the National Rifle Association is so closely aligned with hunters—they are the group’s most powerful contingent. Let’s just assume, for a moment, that hunting is good. Really, really good. (It must be, if militias and self-defense don’t explain guns.) How many of the nearly 3,000 children who are killed by firearms in the United States each year does the good of hunting justify? All of them? A handful? How many of the students and faculty at Virginia Tech? And what’s so good about hunting, anyway? It’s rarely talked about, but hunting for sport is just about as vile as we humans get. In the words of former Bush speechwriter Matthew Scully, “Most wicked deeds are done because the doer proposes some good to himself . . . [but] the killer for sport has no such comprehensible motive. He prefers death to life, darkness to light. He gets nothing except the satisfaction of saying, ‘Something that wanted to live is dead.”’ ... Can someone explain to me why that’s acceptable, or why that love of death should be more important than the safety of the 94 percent of us who don’t have hunting licenses and don’t hunt? Hear, hear. As I say, if the proverbial alien from outer space—or, you know, Quebec—showed up and saw this going on, it would be impossible to explain to him. At least in a way that didn’t rely on a rhetorical shoulder shrug like “guns are so deeply embedded in American culture,” or whatever. (An aside: Does anybody buy such explanations in defense of barbaric-sounding practices in other countries, like female genital mutilation or polygamy?) It’s pretty shocking that there isn’t even a murmur of a debate in this country about the institution of gun ownership, to say nothing of a political opposition.